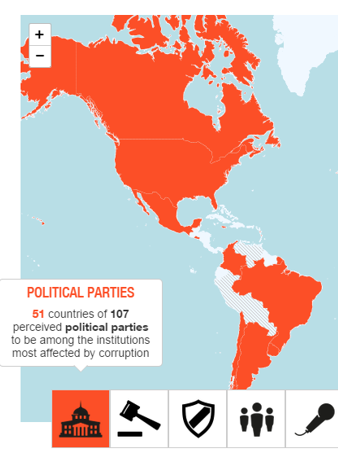 Transparency International carried out a Global Corruption Survey for 2013 to just under 100 countries. The results from this survey indicate that one in four people had paid a bribe to a public body in the prior year. In some countries, people view this type of statistic as par for the course. In other countries, not so much. In some instances, some form of payment is quite often expected to get an official to perform their basic duties… one would argue, it’s your basic duty, in your job description, just to it… but this is how it seems to be functioning. This might seem dishonourable practice to some, but in some countries it’s just how the daily operations work. But with the increasing frequency and expanding scope of enforcement globally, organizations need to devote plenty of attention to anti-corruption due-diligence of third-parties that they engage. The risks stemming from bribes and corruption rank among the largest risks that organizations can face. Direct financial impact can be devastating when penalties reach into the hundreds of millions of dollars. And not to mention the damage to brand and reputation – this can have an even more lasing effect. How can an organization protect itself from risks of bribes and corruption with third-parties? Aside from policies and codes implemented throughout the organization, and acted upon from the top down, technology and due diligence can have a staring role in the prevention of risk. The value of due diligence is immense. It provides “red flags” that a particular third-party may be a source of risk. It also helps to satisfy an effective anti-corruption compliance program from the perspective of enforcement agencies. Additionally, effective due diligence may mitigate potential penalties. Technology can help in a host of areas. The ability to receive daily reports of questionable activities with all third-parties, and the ability for employees to anonymously bring forward any wrongdoing they see, both work hand in hand. The purpose of third-party due diligence against bribery and corruption is to determine whether your third-parties can be reasonably expected to comply with anti-corruption laws in the future after they are hired. By examining their experience, professional reputation, allegations of corrupt activity and the nature and frequency of contacts with government officials, an assessment can be made and red flags can be identified. The purpose of an ethics reporting system is to have a place where all stakeholders – employees, vendors, customers – have a safe place where they can anonymously report on any suspicious activity they see from within, thus potentially preventing a fraud, bribe, or corrupt activity from getting too far. A powerful solution is for management to insist that risk management and monitoring software be implemented in an organization. The ability to monitor an organization’s third-parties engaging in bribes, corruption, and fraud, and the ability to monitor, internally, employees engaging in bribes, corruption, and fraud is powerful, and a smart proactive approach. It’s your job to: research, investigate, make enquiries, compile, report, repeat – all while doing it ethically, and fully in the public domain.